Public management of urban cities is contingent upon many factors including government type, policymaking structures in place and how the success of established city programs are evaluated. 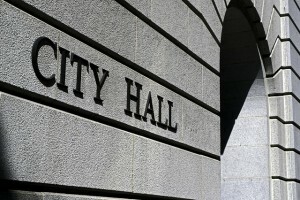 There are a number of qualities that an effective urban manager must possess which include making decisions that place the needs of citizens above personal agendas, creating and fostering an environment that solicits citizen participation and engagement, and excellent leadership skills overall. Over the past two decades, technology has allowed local citizens to hold urban managers more accountable for action or inaction on particular issues. One reason for this shift is the increased use and access to social media. In a 2013 article, “Social Media Use in the U.S.,” John Snead found social media created a forum for which managers’ decisions and actions are held under more scrutiny. For example, the former Surf City, North Carolina police chief was forced to resign over controversial statements he posted on Facebook. Through transparency and recognizing growing accountability, a good urban manager can counter potential negative impacts by including citizens in the decision-making processes and understanding their importance to the success of urban management. Two important aspects to this are strong leadership and civic engagement. In a 1998 article titled, “What Right Do Public Managers Have to Lead,” Robert Behn noted, “Leadership is not just a right of public managers. It is an obligation.” Proper and effective leadership are often stressed as vital to successful public management. Scholars point to several factors that may result in urban managers becoming more effective leaders including the mission managers set, development of different types of relationships, and having a strong set of principles and values. The mission the urban manager sets is critical to having employees follow him or her to successful policy implementation. In a 2007 article, Bradley E. Wright found that mission, or the goals set by the manager, do in fact have a significant correlation to employee work motivation and performance. “If individuals do not perceive performance objectives as meaningful or important, they have little reason to strive to achieve them.” Although commitments to goals are produced by the employees, the “buy-in” must be created and sustained by the leader. An effective leader is able to motivate their employees in believing in the mission and thus the desire to act in performance which reflects the organizational goals. The idea of good leadership being effective in urban settings is internationally accepted. Robin Hambleton conducted research in Australia and Germany. His article, “Place-based leadership: A new perspective on urban regeneration,” notes that “Civic leaders, and this is certainly true in relation to the leadership of urban regeneration, need to build strong grassroots relationships alongside their horizontal and vertical relationships.” The idea of creating more horizontal relationships is not new. Decentralization, or flattening an organizational hierarchy, has long been suggested by researchers Osborne & Gabler. Good leadership skills can be learned and are based on strong principles and values. The basic premise or foundation to leadership is building future leaders. Unfortunately, most organizations are over managed and under led. A good urban leader, however, creates partnerships and trust with the community which in return builds shared expectations and fosters goodwill. These proximal relationships are invaluable when analyzing programs or in the decision-making process. A leader should be able to influence, inspire and initiate others to act. One demographic which is often overlooked is youth engagement. Researcher Kevin Burke and his colleagues found that engaging youth in educational opportunities in the decision-making process “prepares them to become critical, independent thinkers, who can use multiple literacies as affordances for creating changes that help nourish them.” Furthermore, Jessica Shiller’s research also found “that urban youth can be civically engaged when they are involved in projects or organizing intended to improve community conditions, not simply absorbing civic knowledge.” Studies have shown youth involvement with the development of community interests creates an environment that benefits both youth and the community. There are several things that managers can do to manage their city more effectively. These include having a clear mission and goals for their city, creating and fostering opportunities for citizen engagement, and changing traditional management practices. Denhardt and Denhardt state, “Traditional leadership models emphasizing hierarchal power, authority based on position, and strict managerial control seem ill-suited for the modern governance system.” With increasing ease of communication, urban leaders should embrace new and progressive ways for citizen participation. By showing the desire to implore ideas from all levels of citizens, trust and confidence can be built and a successful and efficacious community can be created. Author: George C. Labonte is a lieutenant for the Wrentham Police Department in Massachusetts. He is currently enrolled in the Masters of Public Administration program at Roger Williams University in Rhode Island. Email: [email protected].